LONDON, UK – 2009 ended with a cold-snap but, for most of the rest of the year, it was unseasonably warm. Fair weather in the UK means bumper ice-cream sales, and bicycle shortages. 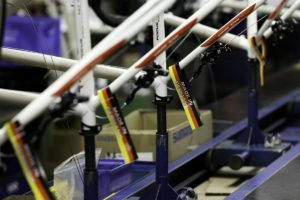 Many suppliers couldn’t meet demand, for bikes and kit. Key SKUs were on the water when they could have been making bike shops money. Making money? In a recession? Many mass media outlets reported about the UK’s ‘bike boom’ but failed to understand that shortages weren’t just about demand suddenly going through the roof it was also about previous years of lacklustre trading making for less cash to spend on ‘what if’ scenarios. UK bike suppliers tend to order what they sold the previous year: anything more than this and shortages happen. It’s classic feast- and-famine. The weakness of the pound didn’t help. The continued reshaping of UK bike retail was clearly evident in 2009. A number of factors were at play, including the UK Government’s Cycle to Work scheme becoming an important lifeline for Britain’s independent bicycle dealers (IBDs); with Halfords increasing sales but dumping its IBD-apeing retail formats; with supermarkets muscling in, at both the low-end and the top-end; and with ever increasing numbers of commuter cyclists, an urban renaissance that the bike trade is benefiting from but, largely, not shaping. This bodes well for 2010. Whichever party wins the General Election – which must take place before 3rd June – cycling will be a small but growing blip on the political radar. Spending on bike facilities can have economic benefits outside of the bike trade, too. Asutely, Cycling England has an economics impact report on cycling. This report, produced by SQW consultants, estimates that every new cyclist saves the nation GBP 382 (€ 423) a year in costs related to health, pollution and congestion. Spending one euro on cycling brings in four euros of benefits. Right from the start, the Independent newspaper said 2009 would be ‘the year of the bike.’ “Biking is booming. In London alone there has been a 91% increase in the number of cycle journeys since 2000, with more than 500,000 trips a day,” reported the newspaper. The bike industry certainly had a better than average year in 2009, despite the recession, perhaps even because of the recession, but it wasn’t the ‘bumper year’ that the Independent predicted. Bike shops were not, in the vernacular, ‘printing money’. Partly this was due to competition: there are still an awful lot of bike shops. Probably too many. Too many, that is, for the majority of them to be highly profitable. The UK Government’s Cycle to Work scheme had a successful 2009. It’s a salary sacrifice scheme which nets employees up to a 40% discount on bicycles and commute-to-work equipment such as lights and locks. Because the paperwork is onerous, most businesses use third party facilitators to do the Human Resources part. These facilitators generally work for free, making their money from taking a cut from bike shops. The most successful third party facilitator by far is Cyclescheme, set up by two bike shop owners, Richard Grigsby and Gary Cooper. At the end of 2009 this business was named as the fastest growing business in the UK by the Sunday Times, the first bicycle business ever to appear on the FastTrack 100 list. Its growth in 2009 was spectacular: 350% year on year. 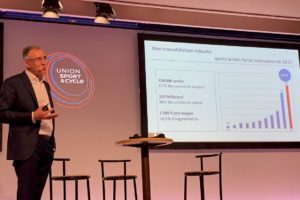 In September, Cyclescheme announced it had sold GBP 1.16 million (€ 1.29 mn) worth of bikes to Rolls Royce via its IBD partners, delivering 1,659 bike packages at a GBP 700 (€ 775) average sale. One IBD alone – Samways Cycles – sold GBP 148,000 (€ 164,000) worth of bikes to Rolls Royce. Cyclescheme turnover stands currently at nearly GBP 25 million (€ 27.7 mn) a year. The Association of Cycle Traders, which represents the UK’s bicycle independents, welcomed the Halfords news: “I think specialist cycle retailers will win more business as a result of the rebranding of Bikehut and Cycle Republic,” the ACT’s Mark Brown said. 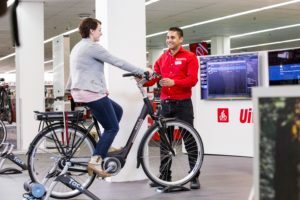 “Halfords has not been able to mimic a specialist independent retail offering, which suggests local bike shops can maintain and grow their local market share as a result. I do not believe customers who are seeking a higher value retail offering will want to enter a Halfords Metro or Superstore to buy their mid to high-end bikes and accessories. I am curious to see what happens to brands who supported Bikehut and Cycle Republic. Halfords estimates that the UK cycle market was worth approximately GBP 350 million (€ 388 mn) in 2009. Market research firm Mintel believes the value of the cycle market was GBP 282 million (€ 312 mn). The Association of Cycle Traders believes both are wrong. “We place the retail value of the market between GBP 750 million (€ 831 mn) and GBP 1 billion (€ 1.108 bn). Approximately three million to three and a half million bikes are sold each year,” said the ACT’s Mark Brown. At present, very, very few UK motorcycle and scooter dealers sell pedelecs, but that could change. In particular because their sales of powered two wheelers dropped more than 20% in 2009. Since all-electric scooters and motorcycles are becoming more common it makes much more sense for motorcycle dealers to educate themselves about all forms of electrically-powered two wheelers, so that they can offer a complete range of machinery which starts with a 25kph pedelec moving on to an 80kph electric scooter, right up to a 200kph electric motorcycle such as the new KTM RC8-based Mavizen TTX02. And while e-Bikes are restricted to 250 Watts and 25kph in the UK like anywhere else in the EU, they have the distinct sales advantage over mopeds that they require neither registration, nor insurance, nor any kind of test or licence, nor the wearing of a crash helmet. Furthermore, they can be sold to a 14 year-old, whereas moped buyers must be at least 16 in Britain. 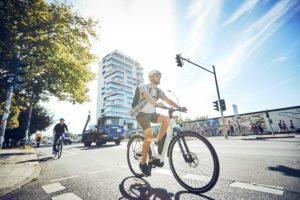 However, since registration is not required, it is much harder to keep track of e-Bike sales; the Bicycle Association of Great Britain estimates that e-Bike sales were still fewer than 10,000 in 2009, while the new British Electric Bike Association (BEBA) estimates that 15,000 were sold. Meanwhile, Powabyke UK report that they are struggling to keep pace with demand for their new X-bike range of MTB-based pedelecs, even though their classic range of heavier e-Bikes remain available for little more than half the price. 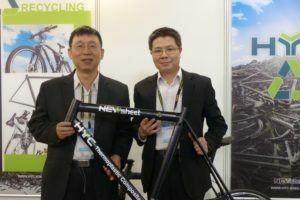 Powabyke claim to have sold some 35,000 ebikes in the UK in the past decade and at the time of writing neither they nor Three Cross had joined the new BEBA.